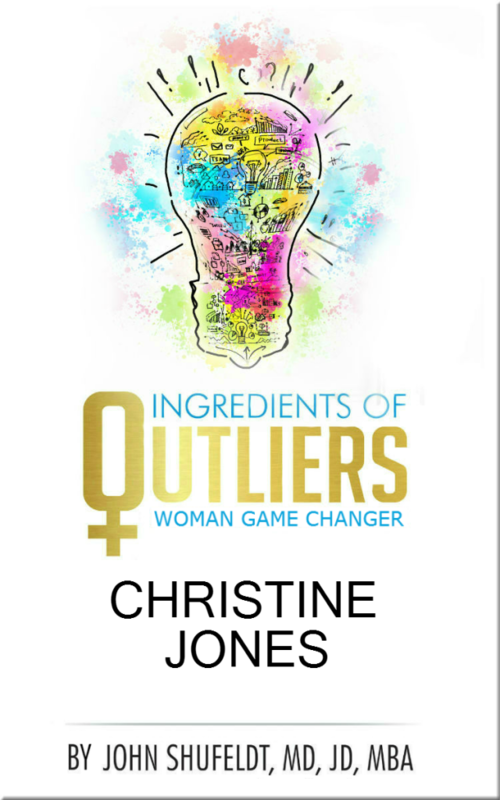 Ingredients of Outliers: Woman Game Changer, Christine Jones highlights one of the six outliers profiled in Ingredients of Outliers: Women Game Changers. 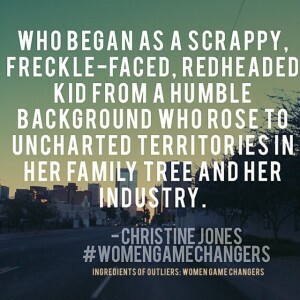 In this edition, get to know Christine Jones, who began as a scrappy, freckle-faced, redheaded kid from a humble background who rose to uncharted territories in her family tree and her industry. 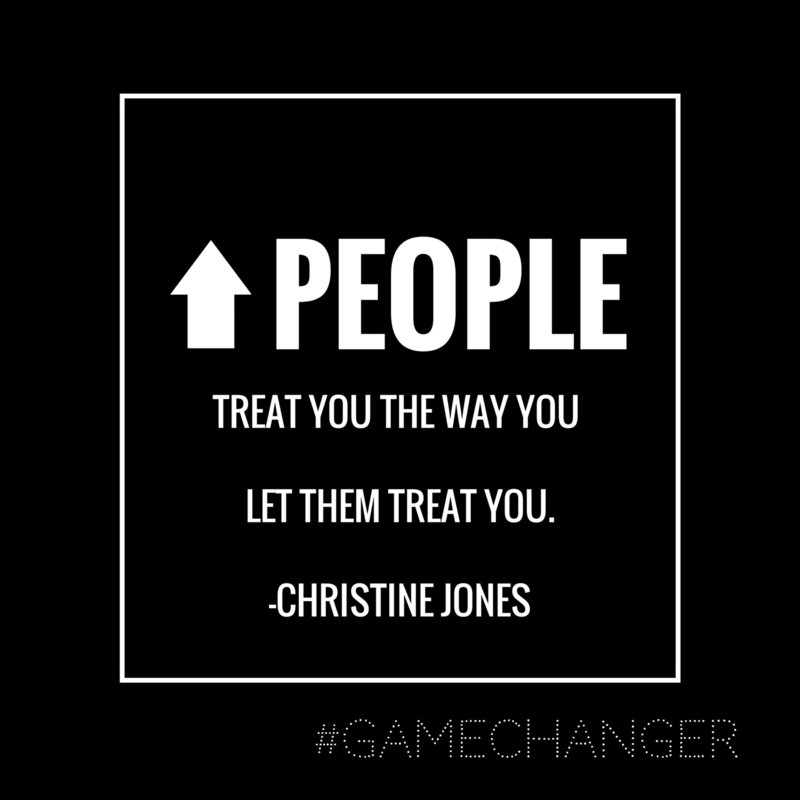 She challenged not only her socioeconomic status, but her origins, when she graduated from high school at 17 and college at 20. 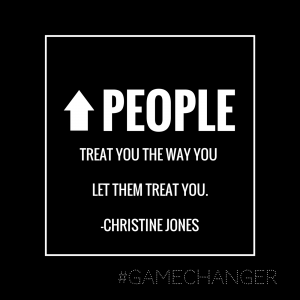 She attributes her success in education and business as an attorney and CPA to the belief that you are the only person who can teach others how to treat you. 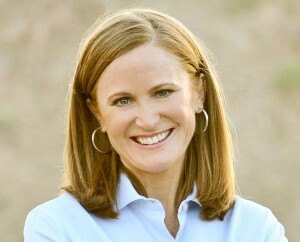 She rose above gender role stereotypes in the workplace to become General Counsel and Executive Vice President at GoDaddy and, despite little to gain personally, moved her office to Washington, DC to push policy that would make the Internet a safer place for users worldwide, especially children. In 2014, Christine Jones became an Arizona gubernatorial candidate, which she pursued by following her own principle: “Stop talking about it and just do it.” She’s passionate about her country, her faith, education, Internet safety, and community service. She believes in working harder than everyone else. 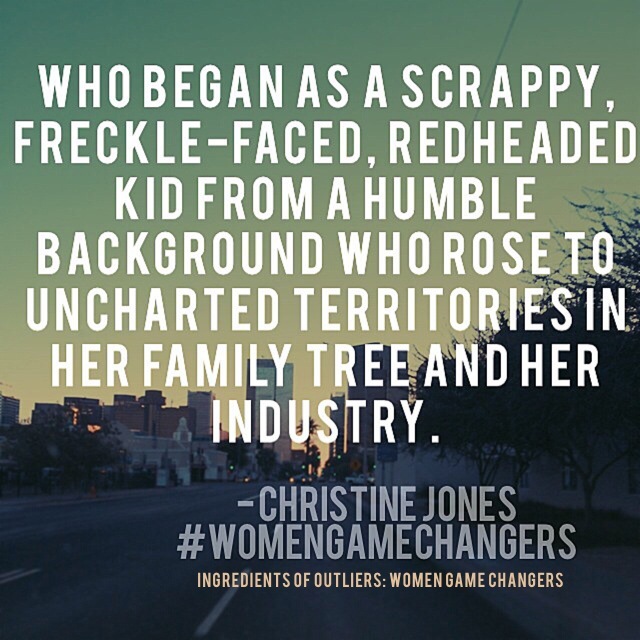 Read about Christine and other exceptional women in the upcoming book, Ingredients of Outliers: Women Game Changers, set to publish in the summer of 2014 as part of the Outlier Series by Dr. John Shufeldt. The series also includes Ingredients of Outliers: A Recipe for Personal Achievement and Ingredients of Young Outliers: Achieving Your Most Amazing Future. The Outlier Series will include at least eight other books published over the course of 2014-2015, specific to sought-after career fields. Each book will include insider information and recommended channels for pursuing the featured career from experts in their respective profession.